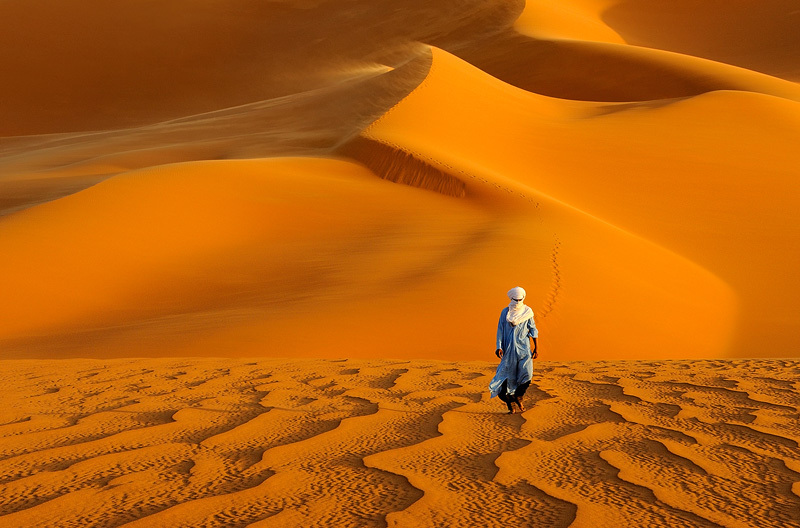 A touareg man is walking in the Libyan part of the Sahara with giant red sand dunes in the background. Shot around sunset. One of my personal favorites.